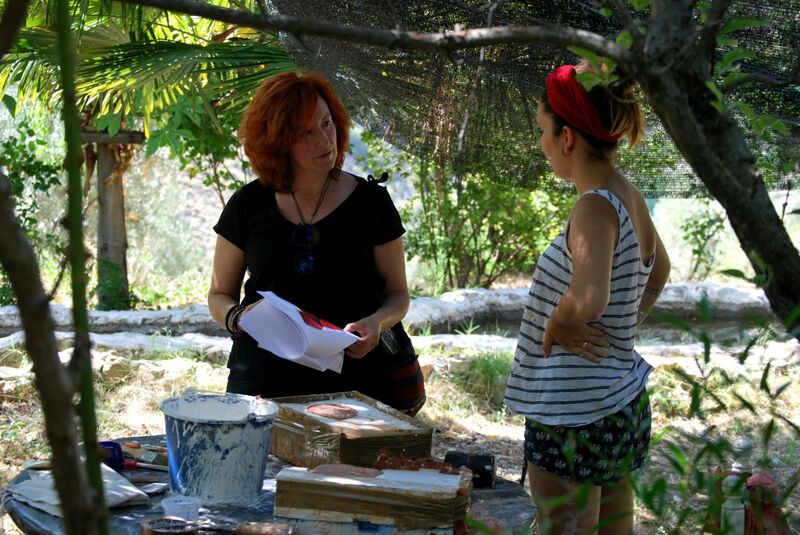 The project “Abierto por Arte” inteds to attract young artist from all over the world to participate in creative meetings to work, exchange, share, debate and learn to get along in Carchelejo and in La Huerta de los Frailes, while their works collaborate to create permanent art space. 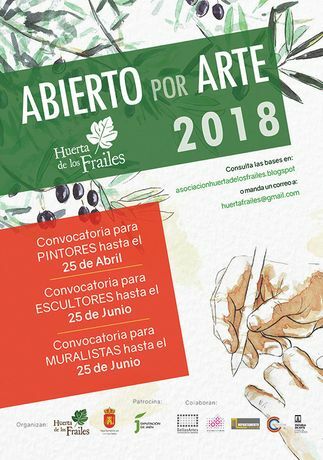 It is addressed to artists willing to participate in a meeting for painters in Los Cárcheles and La Huerta de los Frailes, where they can draw and pain the environment for 4 days and 3 nights. They will covered of housing and maintenance. The housing will be in the Rural Apartments “Mirador de Mágina” belonging to the Town Hall). The artists are required to produce at least to works in their stay. Techniques, formats and materials are of free choice and will be brought by the arts. The participants of the present call will present their CV and a digital dossier of their work. A maximum of 10 artists will be selected to participate. The participants are required to arrive to Carchelejo from the afternoon of Thursday 10th May to the evening of 11th May. during the Thursday and Friday, they will paint in the village of Carchelejo and Carchel or in the surroundings and at least a piece is required to be painted in that day. On the Saturday 12th the participants will be moved to La Huerta de los Frailes, where they will have a guided visit and where they are required to produce at least a piece. Finally, on Sunday 13th, all the works will be exhibit on the Centro Cultural de Carchelejo from 10 to 14, being lunch the concluding point of Abierto por Arte 2018. The Ayuntamiento de Cárcheles will have the right to choose three pieces realized during Abierto por Arte 2018 of three of the artists for its ownership and placement in a future local museum. The rest of works will remain as owned by the artists. In any case, by participating in the project, the artists accept that images taken of the works either by Ayuntamiento de Cárcheles or by the Asociación Huerta de los Frailes can be used by them with a mention to the autor. The inscriptions must be sent via e-mail to huertafrailes@gmail.com until 25th April 2018. The present call is for artists and art students under 40 years of age to present artistic projects of muralism with free style and technique under the condition that their work must last at least for a year. The participants in the call must present a project in a digital formal- and if desired in a paper format too- original and unpublished, in which they specify in detail the characteristics of the work to do (technical factfile which specify the resources required for its ellaboration, materials, size, tools, media, estimated time for the ellaboration) and any kind of information that will help to value the feasibility of the project as well as the image that will be later projected as mural in color (in case that it is coloured). The project will be also accompanied by a brief description which arguments the piece. Pictures of other works of the candidate as well as a CV including name, age, place of birth, address, e-mail and phone. Any documentation presented and not selected will not be sent back. A maximum of 4 projects will be selected among all the presented. The selection committee will composed by proffessors of the Art Faculty of the University of Granada, representatives of the Asociación Huerta de los Frailes and Ayuntamiento de Carcheles. The decision will be done at the end of June and communicated in a personalized manner. Production and placement of the works. The selected projects will be produced in Carchelejo from 3rd to the 16th of September 2018 (arriving on the 3rg and leaving on the 16th). The artist is responsible of the travel. The housing and maintenance during the stay will be proportioned by the organization (housing in the Rural turistic apartments Mirador de Magina, owned by the Ayuntamiento de Los Carcheles).The organization will be responsible of he internal movements as well as the excursions planned during the event. All the materials and tools for the ellaboration of the works with the exception of brushes will be provided by the organization. The presentation of the project will be sent via email to huertafrailes@gmail.com and if desired in paper format to the address Asociación Huera de los Frailes, C/ Muñoz Garnica 3, 23400 Úbeda (Jaén) Spain until the 25th June 2018. The present call is for artists under 40 years of age to present artistic projects with free style and technique with the only condition that their works, once finished, can be exhibited in the open air and that are realised with materials that can be preserved in the environment. A maximum of 6 projects will be selected among all the presented. The selection committee will composed by proffessors of the Art Faculty of the University of Granada, representatives of the Asociación Huerta de los Frailes and Ayuntamiento de Carcheles. 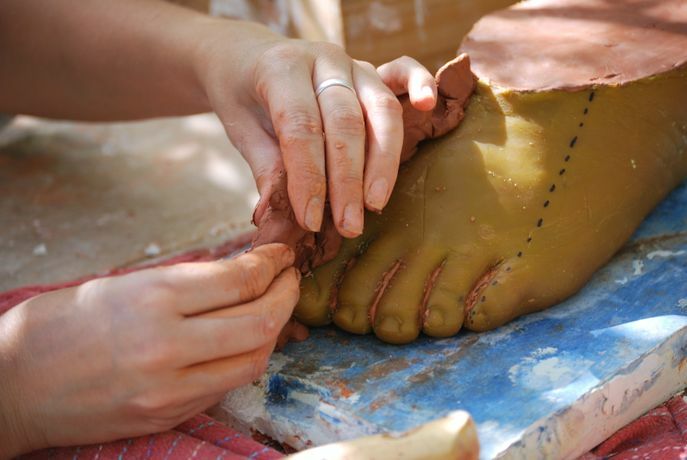 All the materials neccesary as well as the tools for the realization of the project will be provided by the organization, except a basic kit of tools of the sculptor. 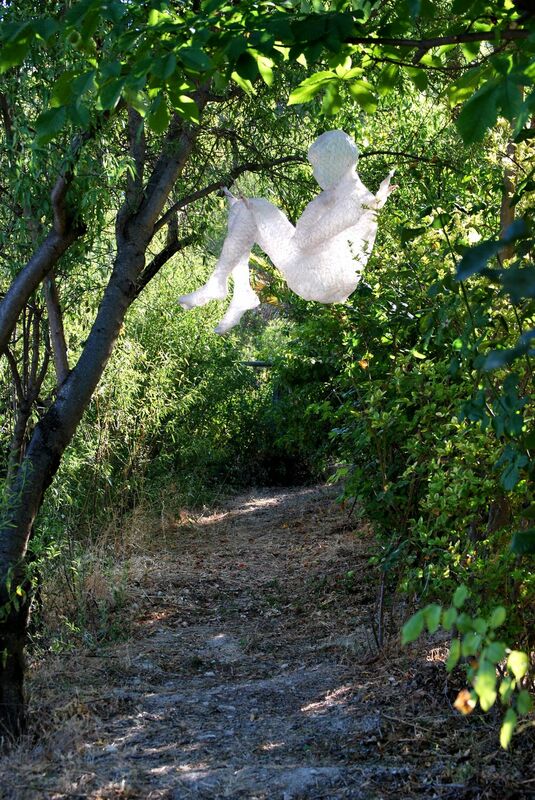 The selected artists will transfer the rights of reproduction of their works to the Asociación Huerta de los Frailes. All works will belong to the Asociación Huerta de los Frailes, belonging to the open air museum if the Committee values positively the final result. The organization will try to produce a catalogue in which the works realized in each edition or in several editions will be reproduced, depending on the final number of works selected. Any circumstance not contemplated in these rules will be solved by the responsible of the Asociación and their decissions either in the selection of works or any other topic, will be unappealable.